Ahead of China's National Day on Monday, President Xi Jinping on Sunday emphasised on efforts to strengthen training and war preparedness of the military, and warned against any thought or behaviour that strayed away from real combat to win wars. 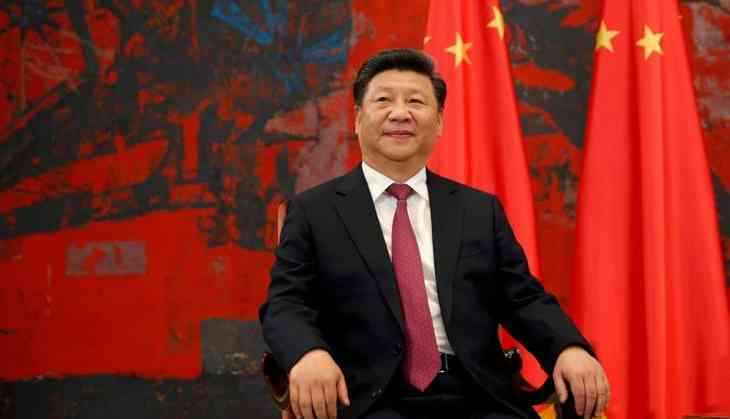 Xi, 64, is regarded as the most powerful Chinese leader after the founder of the People's Republic of China Mao Zedong as he heads the ruling Communist Party of China (CPC), the military and the Presidency. China celebrates its 69th National Day on Monday with one week of "golden holidays" during which the country virtually shuts down. On Monday, he along with other leaders of the CPC and the state paid tribute to the national heroes at the Monument to the People's Heroes at Tian'anmen Square here. Xi, who is the chairman of the Central Military Commission (CMC) -- the overall high command of the two million-strong military -- inspected the 79th Group Army of the People's Liberation Army (PLA) in Shenyang on Friday. During the visit, Xi stressed efforts to strengthen the military training and war preparedness of the armed forces and improve its capability to win wars, state-run Xinhua news agency reported. Xi listened to the work report of the Group Army and delivered a speech warning against any thought and behaviour that strayed away from real combat, highlighting the implementation of combat requirement throughout training and preparation, the report said. Since he assumed power in 2012, Xi has been stressing real time training of the PLA in order to be combat ready. Besides carrying massive anti-corruption drive in the military in which over 50 top Generals of the army were punished, Xi has also reorganised the whole command structure of the military which included retrenchment of three lakh troops. In his speech on Friday, Xi who has been stressing the military to strictly function under the leadership of the CPC, said that it was important to deepen the implementation of the Party's thinking on strengthening the military in the new era and military strategy for new conditions. Xi visited the training ground of an aviation brigade of the Group Army and heard the innovation in command and coordination, battle strategy and equipment update, it said. Xi went on the control tower of an airport to observe military drills. Dozens of helicopters took part in the drills, which included low altitude flights, aerial reconnaissance and air assaults. He asked 79th Group Army to integrate itself into the joint operation system of the PLA, carry out the requirements for transformation of the army and accelerate the building of new combat forces, to further liberate and develop its combat capability, Xi said. He added that the military must be built and managed in terms of thinking and political orientation, and the ideological and political foundation for obeying the Party's command should be consolidated while officers and soldiers' faith should be strengthened in daring to battle and being sure to win, the Xinhua report said.